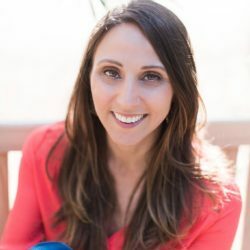 I specialize in supporting couples increase intimacy, moms and dads to parent with connection, and children to feel heard and supported. My clients are women who are wanting to feel more empowered and embodied in their lives and work through old family wounds. They are couples who have lost the spark in the day to day monotony of life and want a deeper, more vulnerable, and more intimate connection. They are parents who are at their wits end with their children's tantrums, unexplained anxiety, or sadness in dealing with loss. They are children who are dying to be seen and express themselves unencumbered. With a Bachelor’s from UCLA and a Master’s from the California Institute of Integral Studies I seamlessly blend Eastern and Western approaches to psychology and the human condition. For over a decade after earning my Master’s I have not stopped continuing ongoing professional education and personal growth to provide you the cutting edge of embodied coaching and therapeutic approaches. I started by working with preschoolers with Autism which led me to be the president of the Association for Play Therapy and earn a certification as a Hand in Hand Parenting Instructor. While working with children I discover a deep need for parents to connect and enliven their relationship and studied with Gay and Katie Hendricks on Conscious Relationship, Shakti Malan, PhD on Sexual Awakening for Women, and John Wineland and Kendra Cunov on Authentic Relating and Embodied Intimacy practices. I bring all of this to you in a casual and warm relational approach. I believe that relationships are our deepest teachers and spiritual practice to stay connected to what is real, to take the steps to heal, and to grow is the transformation we are here for. Working with parents and children together and in separate sessions to add more connection, play, and harmony at home. Creating structures and practices to help you communicate more deeply and authentically with your partner.